In the real world, we are all slaves to linear time. Waking or sleeping, whether we like it or not, we have to live through every minute of every day. Only a relatively small proportion of what we experience on a daily basis is interesting enough to make it worth remembering. An autobiography detailing every moment of the writer’s life would make excruciatingly dull reading. If I were going to write my “life’s story”, I’d focus only on the high spots. Much the same principle applies in fiction. Writing your first draft is a bit like “living” the plot a day at a time. But when it comes to Draft Two, what you leave out can be as significant as what you put in. 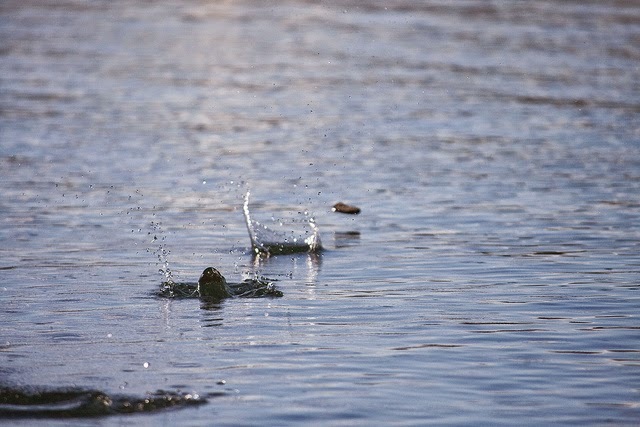 Like a kid skimming stones across a pond, sometimes you want your story to leap from point to point. The actor Robert Morley (1908-1992) used this “shortcut” technique to comic effect in his various memoires. In Around the World in 81 Years, he sums up his early career with droll brevity. These three short lines speak volumes. Artist Walter Hartright comes to Limmeridge House to give drawing lessons to the beautiful Laura Fairlie. Inevitably, he falls in love with Laura, despite the fact that she is engaged to Sir Percival Glyde. Glyde is under the baneful influence of a criminal mastermind calling himself Count Fosco. Between them, Fosco and Glyde plan to defraud Laura of her inheritance. Nine o’clock. Was it nine struck, or eight? Nine, surely? I am shivering again – shivering from head to foot, in the summer air….Oh, my God! am I going to be ill? The illness of our excellent Miss Halcombe has afforded me the opportunity of enjoying an unexpected intellectual pleasure. The signature attached to this entry is Count Fosco’s. When we realise he’s read everything we have, the effect is like touching a live electric fence. These are just a few examples of the art of hitting the high spots, but the principle is one worth remembering. 1 First serialised between November, 1859 and August 1860 in All The Year Round. When I started writing, I had this compulsion to be with my characters 24/7, and the hardest words for me to write were, "By Friday, they had ...." which mean skipping Three Whole Days of the story. But when nothing moves the plot forward, the delete key is your friend. Love the Morley story. Oh, how hard it is to leave out parts of the story, until you realize you're the only one interested in this or that minutia. When you can say, Who cares? that's the time to skip that stone over the water. Fiction, like dialogue, is what happened with all the boring bits cut out. There are action beats and rest beats, but there should never be snooze beats. Great examples. I love that "snooze beats." So true, though. We don't ever want to give a reader a chance to skip read or doze off. Ah, yes, it must seem at some point that the villain will, indeed, win in the ageless battle of good and evil. In just the right amount, this is a cliffhanger. Shorter/less informative, it won't sufficiently enlighten the reader. A longer version, however, will teeter on the bring of boredom. The same can be said of backstory. In small doses it engages and enlightens. An overdose, however, can be fatal. Only one who has never written a book can believe it's a piece-of-cake job. Rather, it's a balancing act of Wallenda-high-wire-walking proportions. Love this post, Debby. I agree with Linda about the balancing act, and the effort it takes for us to find that proper balance. I loved the post, Debby, and the examples.